Maine’s addiction treatment and recovery community reacted with outspoken criticism to official recommendations released in Augusta this week for responding to Maine’s worsening crisis of opiate addiction. The report from the 19-member Task Force to Address the Opioid Crisis in the State calls for a range of interventions, from reducing stigma and promoting education to expanding access to treatment and providing therapeutic alternatives to incarceration. Grouped into three sections — prevention and harm reduction, treatment and recovery, and law enforcement — the steps largely aim to improve existing programs and initiatives. In Portland, addiction medicine specialist Dr. Mark Publicker said the findings reflect an absence of leadership and innovation. Other critics agreed that the recommendations fall far short. For Jim LaPierre, a trauma and addiction counselor in Brewer, the recommendations perpetuate an ineffectual system that has failed to stem the tide of addiction and death. And, with an average of one Mainer dying every day of a drug overdose over each of the last three years, he said, the report fails to respond to the urgency of the situation. Even within the panel itself, the frustration showed. “How do we reinforce how important it is that action happen?” demanded task force member Rep. Anne “Pinny” Beebe-Center, D-Rockland, after the group met to release its report. The midcoast district she represents has seen among the highest rates of drug use and overdose. 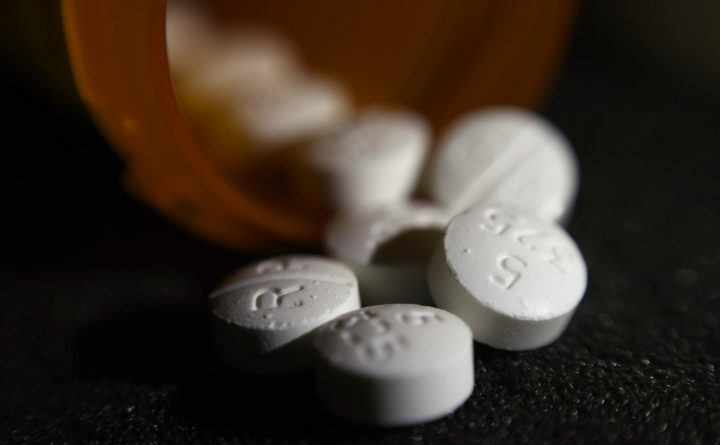 The consensus report reflects expert guidance and bipartisan negotiation, as well as the overarching awareness that the growing opiate crisis affects all Mainers in one way or another, said task force co-chair Rep. Joyce McCreight, D-Harpswell. “These are some very important steps, but everyone [in the group] is very aware there is much more work to be done,” she said. For LaPierre, the drug and overdose crisis calls for three primary and immediate responses. First and most critical, he said, make the life-saving, overdose-reversing pharmaceutical Narcan more widely available. A law enacted in the spring of 2016 approved the sale of Narcan without a prescription in Maine pharmacies, but it remains stalled in bureaucratic rulemaking. Second, LaPierre said, create more residential detox beds where substance abusers who want to get clean can work through withdrawal and prepare for long-term treatment and recovery. Some Maine hospitals provide a few Medicaid-funded detox beds and there is a 41-bed stand-alone detox center in southern Maine. In the Bangor area, Wellspring Substance Abuse and Mental Health Services is preparing to open a 10-bed detox center in Hampden. LaPierre’s third priority, and perhaps the most far-reaching, is the expansion of Mainecare, the state’s Medicaid program, to bring more low-income and indigent drug users into life-saving care. “Don’t mess with it, don’t play politics with it, just do it,” he said. Medicaid expansion was approved by the Maine Legislature five times and each time vetoed by Gov. Paul LePage. Last November, Medicaid expansion was strongly approved through a citizen referendum vote, but LePage remains deeply opposed to implementing or funding the expansion. For physician Publicker, the task force recommendations are misguided. Many Mainers with addiction do not need mental health counseling, housing assistance, career support or financial assistance programs, he said. Their needs are often more simply met. “They need someone who understands the disease, they need a prescription for buprenorphine and they need a mechanism for accountability,” he said. Abolishing the state’s two-year limit on buprenorphine treatment for MaineCare beneficiaries would be a good start, he said, since most patients require much longer to become stable in their recovery. Like LaPierre, Publicker supports the expanded availability of over-the-counter Narcan, as well as the passage of a targeted “Good Samaritan Law” that protects anyone who administers the drug from a lawsuit. Publicker also supports strengthening the Maine Office of Substance Abuse with the authority to assume leadership of the fight against addiction. “The biggest thing that could happen right now is to get more money from DHHS for treatment,” said Beebe-Center. For Mainers without private insurance, MaineCare or access to a subsidized slot in a treatment center, she said, addiction treatment is simply unavailable. “If someone is ready to recover, that’s when you need to do it,” she said. Waiting only increases the likelihood of continued drug use and overdose death. Maine Attorney General Janet Mills, who is a candidate in the 2018 election to replace LePage as governor, served on this task force, as well as on a similar panel appointed in 2016. She said ongoing attention and bipartisan support on issues as critical as the opioid crisis are important, even when the situation demands fast action. Legislation to address some of the recommendations, including safe housing for people in recovery, better integration between medical treatment and support services, and speeding access to emergency care for homeless addicts, are slated for consideration in the upcoming short session of the Legislature. Other solutions, McCreight said, will be proposed and supported at the committee level by members of the Legislature who, like her, served on the task force and are committed to turning around the epidemic of opiate addiction in Maine. “Nobody thought this [report] would answer all the questions,” she said. Neither a spokeswoman for Maine DHHS nor the task force’s Republican co-chair, Sen. Andre Cushing of Hampden, responded to interview requests.